A.B. Brown University; 1982; J.D. Northeastern University; 1986; LL.M. Temple University; 1997, Senior Fellow Higher Education Association, SFHEA; Tuckwell Fellow. A graduate of Brown University and Northeastern University School of Law; Molly served as a judicial clerk in the United States District Court and the Georgia Supreme Court before practicing law in Pennsylvania as a civil litigator and then as an Assistant Public Defender. She later was an Honorable Abraham L. Freedman Teaching Fellow at Temple University. In 1997; she joined the faculty of Emory University Law School and served as the Director of Advocacy Skills Programs through 2001. Molly has also served on the faculties of the University of Akron School of Law and University of Wollongong. 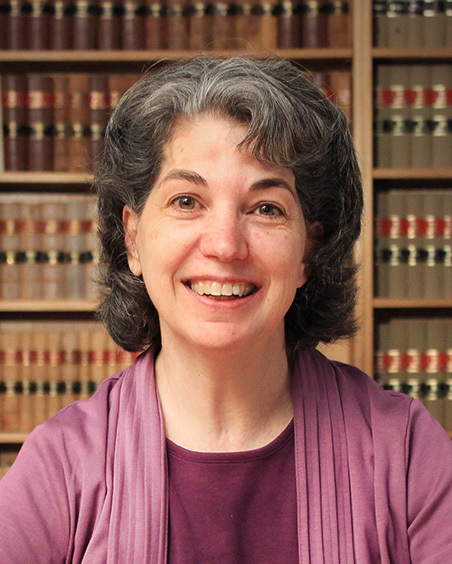 She has written extensively about legal education, trial practice, dispute resolution, and human rights. ‘Alternative Dispute Resolution’ in Stephen Colbran, et al., Civil Procedure: Commentary and Materials (6th edition, 2015) Lexis Nexis. ‘The Cosmic Context of the Millenium Development Goals: Maximum Entropy and Sustainability’ in (2015) Nanotechnology For a Secure and Sustainable Future, Tom Faunce, editor, Pan Stanford Publishing, co-authored with Charles Lineweaver. ‘The Challenge of the How: Developing a Process for Legal Educational Program Renewal,’ in (2014) The First-Year Experience in Law School: A New Beginning, Leon Wolff and Maria Nicolae, editors, co-authored with Anthony Connolly. ‘Mother Tongue Education as a Legal Right’ in (2014) Intersections: Applied Linguistics as a Meeting Place, Elke Stracke, editor, Cambridge Scholars Publishing, co-authored with Peter Bailey. ‘The Learning Journey: Please Take Me with You,’ (2014) 35 Adelaide Law Review 23-34. 'The Power of Naming: the Multifaceted Value Of Learning Students' Names', (2014) 14 QUTLR, no. 1, 114-128, co-authored with Tania Leiman and James Duffy. 'Connecting Law Student Wellbeing To Social Justice, Problem-Solving And Human Emotions', (2014) 14:1 QUT Law Review, 52-62. At the beginning of her final semester, Juris Doctor graduate Rachael found out she had breast cancer. She would have been forgiven for putting her studies aside, however, finishing her degree turned out to be an essential distraction. Trial Advocacy Basics, 2nd Edition, co-authored with Gary Gilden (forthcoming). 'Bring Your Whole Self to Law School', (2013) National Wellness for Law Forum, University of Melbourne, Melbourne. ‘Connecting Law Student Wellbeing to Social Justice, Problem Solving and Human Emotions,’ Wellbeing Network for Law, University of Melbourne, February 2013. ‘Strategies to Improve the Law Student Experience,’ Teaching-Research Nexus Symposium, Adelaide, February 2013. ‘No Time to Lose: Negative Impact on Law Student Wellbeing May Begin in Year One’. (2012) 2(2) The International Journal of the First Year in Higher Education, 49-60. Co-authored with Stephen Tang and Kath Hall. Bring Your Whole Self to Law School,’ Wellbeing Network for Law, University of Melbourne, February 2013. My goals in planning the large group lectures are (1) to generate interest in the material; (2) to engage the students in actively thinking about, applying, extending, interrogating, and analysing course content; (3) to put the statutory provisions into context; and (4) to provide students with visual and auditory memory cues for learning the material. Generating interest in the material is, in my view, a prerequisite to deep learning. If students take the course like a dose of castor oil, they may be able to hold enough information in their short-term memories to be able to pass the final exam. But when they walk out of the exam, they begin to forget all they have ‘learned’. On the other hand, if students become interested in the subject matter and convinced its importance, they become motivated to study, to learn, and to incorporate what they have learned into their long-term memories. My second goal is to use the large lecture in a way that engages the students in actively using and critiquing the course content. When students make active use of the course content by thinking about it, applying it, extending it, interrogating it, analysing it, disagreeing with it, comparing and contrasting it, and so on, they transform information into knowledge. They are more likely to understand and remember information that they have used. Providing context is another important aspect to teaching complex statutory schemes like the Uniform Evidence Law and the Court Procedures Act. Trying to learn the rules of evidence or civil procedure in a classroom can be like trying to learn the rules of a complex and ancient game – without playing or even seeing a real game. You would not ever expect someone to learn the game of cricket without ever watching a cricket match or picking up a bat. Neither can students be expected to learn and understand arcane rules of evidence and procedure without a basic understanding of how they operate in their context. In addition to providing context, I also attempt to provide auditory and visual memory cues. High impact images and sounds can make an impression and aid recall of information. Because there is a large volume of information in these courses, memory cues assist the students to have easy access to what they have learned. Techniques: To meet the goals I have set for my lectures, I make use of media, particularly music, images and animation. These media allow me to (1) generate interest, energy and enthusiasm; (2) present high-impact images and analogies that serve as memory cues; (3) to integrate practical contextual material seamlessly into the lectures; and (4) to pose both simple and complex questions for discussion and engagement. Theme songs: As students walk into the lecture hall, I play a theme song. The theme song for each lecture usually has a title or a repeating lyric that I will return to at some point in the lecture. For example, in a lecture that makes an extended analogy between extraordinary pre-trial manoeuvres and combat techniques, I use the song ‘Kung Fu Fighting.’ (A full list of this year’s theme songs is attached as an appendix.) Theme songs may serve as memory cues, but more importantly they fill the room with energy. As I turn off the music to begin the lecture, the energy of the song carries over and creates positive classroom dynamics. Images and animation: My lecture slides contain images that are selected to generate interest, to stimulate questions, to add a note of humour or an aid to memory. I have included some examples of my lecture slides in the appendix to this application. Images are also an excellent vehicle for presenting practical and contextual material. They permit students to envision how the rule actually works (see example of first-hand hearsay in appendix). Practical context is also presented in the form of visual depictions of case facts. Images are used to support short anecdotes or excerpts from cases that are illustrative of the way the rules work. Using images promotes the use of cases for their story-telling and context-providing capacity. Students are more likely to remember the rule of a particular case and be able to analogize future problems if they have understood and remembered the story (the facts, the images) of the case. Using slides to promote engagement: Students in a large lecture are often reluctant to volunteer an answer to a question posed orally. I use slides to pose multiple choice, true/false, or discussion questions. The use of a slide allows me to include more information in a question or to pose a more complex question than can be posed orally. The slide presentation also permits various methods of engaging students in answering. I sometimes pose a question and ask students to answer in a short free-write. Other times I ask students to raise their hands to answer a multiple choice question en masse. During several lectures I divide the class into teams to answer multiple choice questions as if they are participating in a trivia contest. The questions force the students to read and interpret the rules of evidence in class, to discuss them with their peers, and to come up with what they think is the best answer. When the ‘correct’ trivia answers are given, students do not seem to realize that they are receiving a lecture. Instead of listening with their heads down, they interject to defend their team’s answers. I also use slides to regulate the pace of a lecture and to pose the simplest and most important questions. One of the questions I frequently pose in a slide is, ‘Why is that important?’ or ‘Why do we care about this rule?’ I pose this question repeatedly because, in my view, energy and enthusiasm alone are not enough to generate student interest and engagement. These questions push students to reflect on and have their own answers about the importance of the material. I find that, when pushed, students often come up with keen insights about why a seemingly arcane or obscure rule makes a real difference to real people. My concern about the need to improve student understanding of evidence in context led me, along with Gregor Urbas, to apply for and receive a Teaching Enhancement Grant to film evidence problems in a courtroom context. The DVD has now been filmed and will be used in class next year. My 2009 Evidence lectures are posted at http://webct.anu.edu.au/SCRIPT/LAWS2207_Sem_2_2009/scripts/serve_home . I divide the course with Gregor Urbas. My lectures include Weeks 2, 6, 7, 8 and the lectures titled “Adducing Evidence” and the hearsay competitions. Audio recordings of my lectures are also available on WebCT. In both my teaching and research I focus on what the law does that it could do better.